This Crystal extra hot sauce is perfect for recipes that need an added kick of hot and zesty flavor! Ready to use, this sauce is the no-hassle way to spice up any plate. It offers the great taste of the original Crystal hot sauce that your customers know and love but with three times more heat. Furthermore, it blends aged red cayenne peppers, vinegar, and seasonings to achieve the signature Louisiana flavor it's known for. 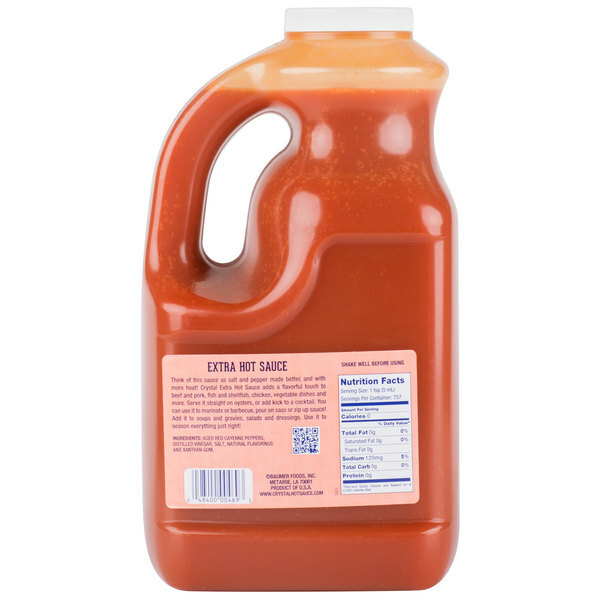 Use this extra hot sauce for BBQ, marinades, and more! It's perfect for chicken wings, dips, oysters, hamburgers, and meatloaf. Just a small dash of this sauce adds heat to soups and chili. Plus, it enhances the look of your dishes with its bright red color. 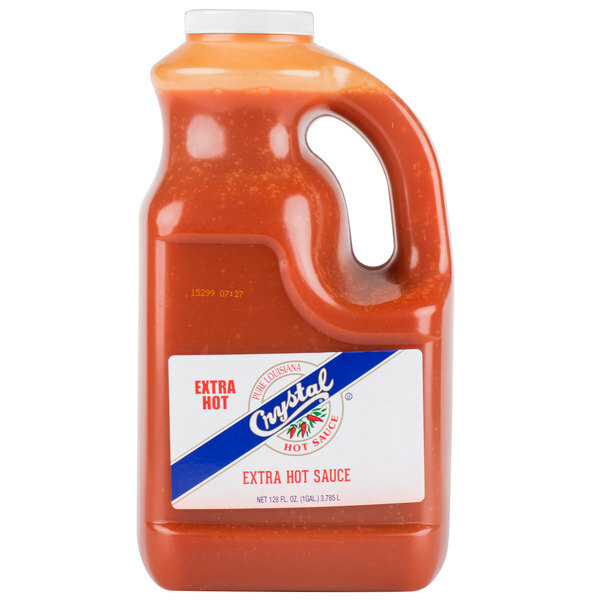 Intensify the flavors of anything you make and stock up with this gallon supply of Crystal extra hot sauce for your restaurant or concession stand! I have been using Crystal Hot Sauce since 1995 when I discovered it and have enjoyed in many of my foods since then specially on my Chiken Wings and French Fries ! I totally recommend this hot sauce to everyone looking to spice things up when it comes to food and sanacks ! The Crystal extra hot sauce is amazing and really kicks things up a bit. The sauce is great for adding spice to any of your dishes.